Mukut Mithi, the lone Rajya Sabha MP of Arunachal Pradesh has assured to register his strong opposition to the Citizenship (Amendment) Bill, 2016 as and when it would be tabled at the Upper House. 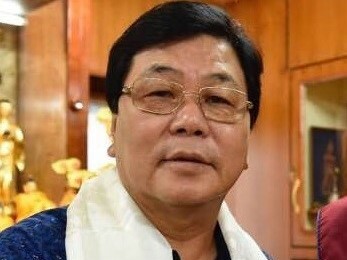 The assurance from MP Mithi, who is a former chief minister of Arunachal Pradesh, came after the All Arunachal Pradesh Students’ Union (AAPSU) on Tuesday wrote a letter to the former. The AAPSU in its letter expressed strong concerns against the contentious Bill. The Bill, which intends to amend the Citizenship Act, 1955 and provide citizenship to those illegal migrants — Hindus, Sikhs, Buddhists, Jain, Parsi or Christians — who have faced religious persecution in Pakistan, Afghanistan and Bangladesh. The Bill was passed in the Lok Sabha on January 8 and is yet to get nod Rajya Sabha for its enactment. “The Citizenship (Amendment) Bill was passed in the Lok Sabha despite serious opposition from the people of North East. Like several other unions and organisations of the North East, the AAPSU under the aegis of the North East Students’ Organisation (NESO) has been protesting against the Bill terming it unconstitutional, anti-tribal and anti north-east. “Arunachal Pradesh is already plagued by Chakma-Hajong refugee imbroglio since the past 50 years. There is every possibility that the refugees who are already settled in our state would try to take advantage of this Bill as the Chakmas are predominantly Buddhists and the Hajongs practice Hinduism,” the AAPSU said.